So since PokemonGO came out, I've noticed a trend. For some reason, it's a hobby that people love to hate. It's cool to talk crap about it. People post memes about how sad it is to play it, or how boring people are who play it. How they should get a life, get a job, get out more. 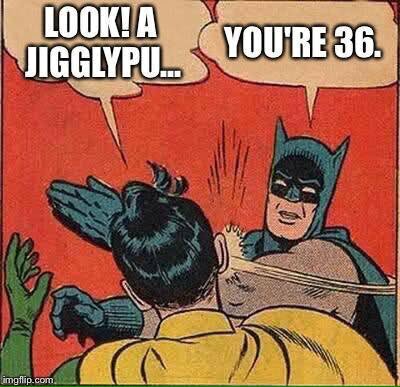 I've seen them all over facebook and twitter, including from friends of mine. And I don't get it. If you aren't interested in something, why post about it? Why go to the extreme of telling others you don't like their hobby? What's the harm? I'm not interested in cricket, so I don't post about it, and when I see a post about it, I scroll on by, no problem! 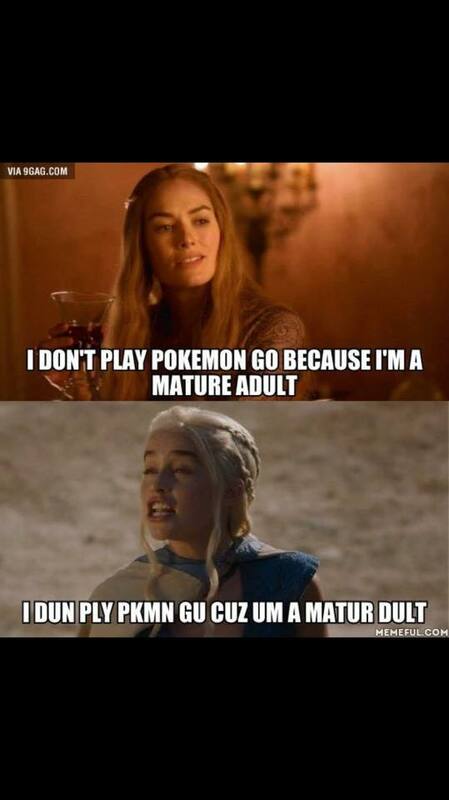 Every time you post a meme about how immature PokemonGO is, this is what I see in my head. 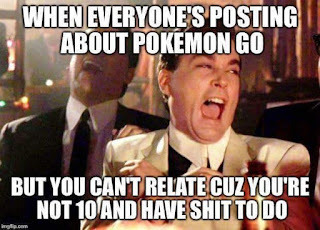 It literally doesn't impact upon your life in anyway, other than maybe the odd post on social media by your friends who are excited to play it. If it bores you, ignore it, scroll past, stop shouting about how important your dislike of it is. You love to hate it is the truth! Since I got into playing, I've walked about 100km with the dog, spent a lot of time outside, and met up with a friend I haven't seen in about 12 years to hang out and go hunting. So I've exercised a bunch, and been more social than usual, and reconnected with an old friend.... I'm failing to see the harm in that! We've adventured to different places and walked different routes and seen more of where we live because of it. Saying someone's hobby is inferior and being so vocal about it is unnecessary. Do you watch football? Wrestling? Do you like cars? Into WOW? Read comics? Collect stamps? Cycle? Paint? Awesome! I'm glad you have something to do that you enjoy, so do I, so stop judging my hobby and deciding your hobby is superior to mine. I have a life, and a job, despite what your memes imply, and other hobbies, but right now, I'm most excited about PokemonGO. So get over it! 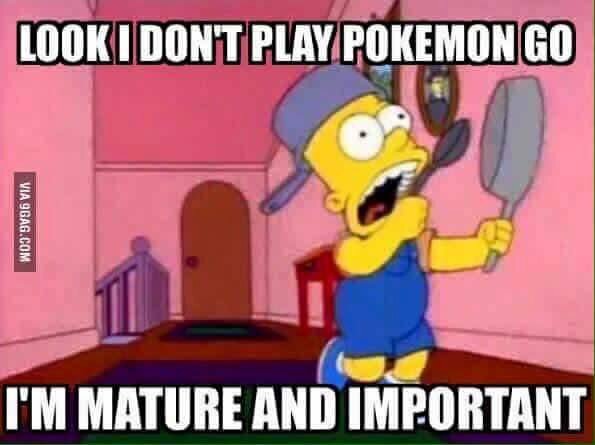 While I do completely agree people are totally entitled to enjoy Pokemon Go (my boyfriend for example loves it! ), there are a few that take it a bit obsessively and have wrapped their entire lives around it. While there are some great benefits, exercise etc, a lot of people are now having a loooot of screen time because of the game. I really enjoyed this post, you made some fab points! Oh my goodness, I haven't seen all the negativity. But I love it. Was playing it coming home from a night out at 3.30 yesterday morning. And it's been a good distraction while I've been having a rough time. Whatever. Haters gonna hate!